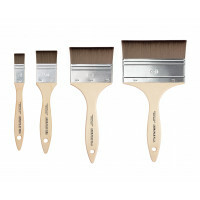 A high quality multi-purpose golden synthetic fibre brush with plain wood handle and rustproof steel ferrule. 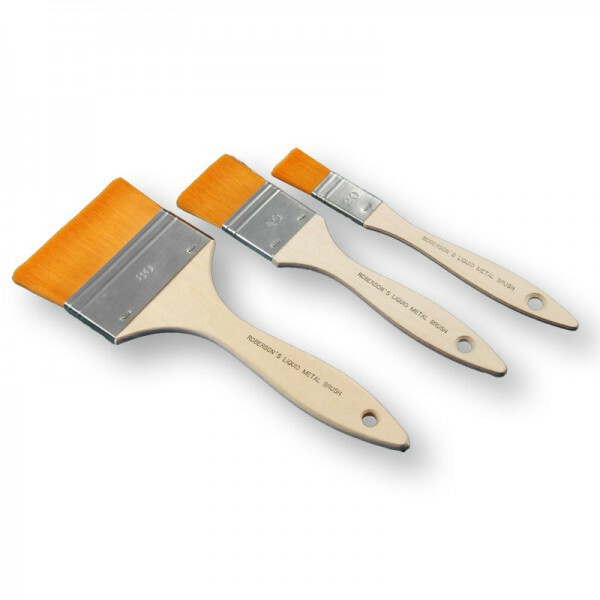 This brush was originally developed for use in our testing laboratory and has been specifically designed for use with the Roberson Liquid metal range. 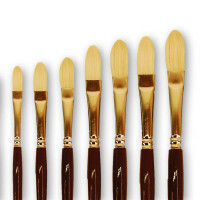 The micro fine synthetic bristles ensure a high class smooth finish not available with normal acrylic brushes. 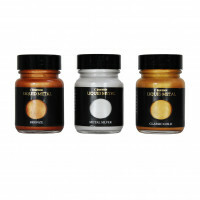 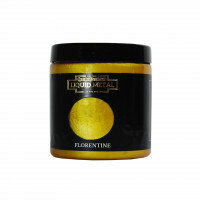 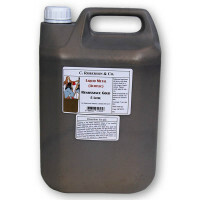 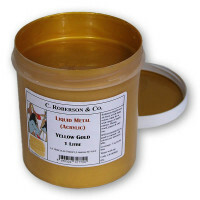 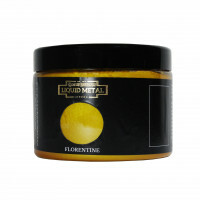 It is also excellent for applying both acrylic and solvent based varnishes.